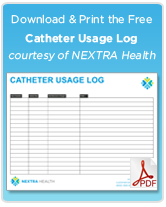 Catheters are a common part of health care for many, but can also cause issues with infections. A fantastic piece written by Carol Pellowe discusses ten issues & best practices for short-term urinary catheterization. With catheterization, there is a risk that bacteria can go into the catheter and make its way into the bladder. This causes added discomfort and delays patient recovery. 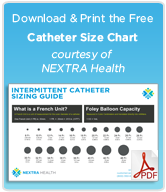 The article provides some great information about catherization as well as tips for procedures and some statistics of patients getting CAUTI (Catheter Associated Urinary Tract Infections). The daily risk to catheterised patients of developing bacteriuria is 3-6% and cumulatively increases the longer the catheter remains in place (Pratt et al, 2007). Consequently, around 50% of hospitalised patients catheterised for longer than 7-10 days develop bacteriuria (Pratt et al, 2007). Although patients with bacteriuria frequently do not present with clinical symptoms, 20-30% of them will develop symptoms of CAUTI (Pratt et al, 2007). Many of these infections are serious and lead to significant morbidity and mortality. If you work with patients or require catheters yourself, I highly recommend reading this well-sourced article.